For kids with apraxia, it may be more difficult to sequence their thoughts and even actions. The verdict is still out *exactly* why these skills are increasingly difficult, but it most likely has to do with the fac that children with apraxia rea lacking in the motor planning (and sometimes, executive functioning) skills that help non-apraxic individuals organize their thoughts. Sturdy, magnetic game board (14″ x 18″). 48 vinyl, magnetic tiles (1 3/4″ x 1 3/4″), color-coded (24 red and 24 purple) and lettered, so that sorting the tiles for the 12 stories is a breeze. *The fine print: Open to US addresses only. (Sorry, postage to areas outside contiguous US got to be too spendy). Please check your junk/other inbox for notification via email. If you are not notified, you didn’t win. Kindly respond to any winning notification promptly, or another name will be selected. Email will not be used for any other reason than for contacting winners. 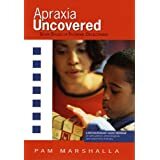 Apraxia Monday: Pam Marshalla, CCC-SLP Book Review & Give-a-Way! While these books are mostly geared towards the speech-langauage pathologist, parents, teachers, and other professionals can glean so much from each of these books. Provides a systematic (linear) skill acquisition for speech development. What I really love about this book is that it’s a nice, pocket/purse size. A busy parent (or SLP) can easily slip this into a bag and flip through it during downtime in the speech waiting room. If your SLP has this book in his or her toolkit, consider yourself lucky! 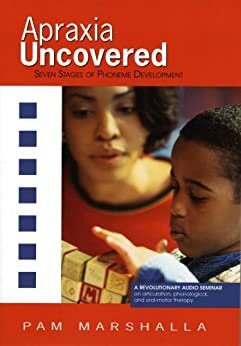 This book is divided into seven sections, each of which are based on the phoneme (sound) development stages a child typically undergoes. However, children with CAS may be slower in the acquisition of those skills. Pam shares why–and how–to help your child with apraxia get through some of those stumbling blocks. As a parent, you’ll be introduced to new terminology like mechanical occluding, syllabifying, and silent-sequening, but not to worry–they’re all defined in Pam’s tradmarked, no-nonsense practical style. For projecting one’s voice, Pam suggests, “[Let] the child be loud on the playground. Shout to one another across a large room.” Your child will love that! How often do you get to “yell” in the house?! By far, the sections you’ll want to flip to first (especially if you are parent working with your child at home), is the ending of each chapter. That’s where you’ll find specific exercises and activities to do with your child that taps into those skills Pam describes in the first part of the chapter. I love the first sentence of this book, “Let’s face it: Apraxic children can be a puzzle.” It goes on to say that while these children are bright, these kiddos often don’t start talking till two or three years, or even older. That’s frustrating for the child and parent–and even to some SLPs. This book covers normal speech development, which is great if you are a first-time parent raising a child with suspected or diagnosed CAS as was I. (While I *thought* I knew enough about child development, I found myself second-guessing due to the mystery that lie behind my first daughter’s lack of speech). Yet, BECOMING VERBAL is primarily focused on apraxia. Tips, suggestions, and ideas abound in this book. Examples of conversations, however rudimentary are given as are tips on getting kids to laugh and otherwise vocalize, a precursor to speech. Parents will appreicate the many excercises and kid-friendly activities to use at home–or anywhere–to illicit sounds, babbling, word-play. These two books are a “must” if you find yourself working with childhood apraxia in any capacity. It’s give-a-way time. One lucky reader will receive both copies of these books in a fun little book bundle. Here’s what you have to do: share this post (via email, Facebook, Twitter, Pinterest, etc.) and then drop me a line leslie_lindsay(at)hotmail.com or by making a comment on the blog itself, “I shared!” and I’ll enter your name. It’s that EASY!! * Good luck! 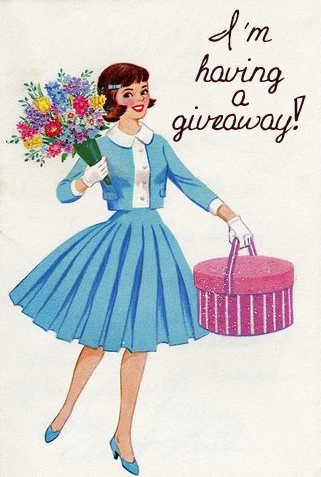 Your name was drawn as the lucky winner of TALKING IS HARD FOR ME by Linda Reinert, CCC-SLP. 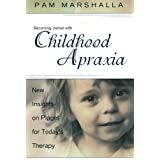 Coming up Monday, September 23rd: Pam Marshalla’s books on apraxia–a review and give–a-way. Spread the word! Today, I am honored to chat with Linda Reinert, CCC-SLP and author of TALKING IS HARD FOR ME! What’s great about this book is, parents and caregivers don’t have to be experts to help kids communicate better! This small book is great for both families and practitioners. But don’t be fooled by the size—it packs a punch! LL: Thanks for being with us today, Linda. You’re a long-time pediatric speech-language pathologist working with young kids. Do you have an age you most enjoy working with? Or, can you share how each stage provides joy on new and different levels? Linda, CCC-SLP: I currently work with children between the ages of birth to three in home-based services. I particularly enjoy the direct connection with the parents and caregivers…relationships built with the family unit makes the job especially rewarding. I consult with physical therapists, occupational therapists, and early childhood developmental specialists. You learn an awful lot rubbing shoulders with professionals outside your area of expertise! When working with toddlers, I never tire of watching them develop early language skills. It is delightful to share these moments with families. Hearing a child say “mama” or seeing her sign “more” for the first time never gets old. I count it a privilege to celebrate those successes with the child and his or her family…believe it is because I get to meet the children in their most comfortable setting and work directly with the people who love them the most. Two year olds have such dynamic personalities. They are genuine and seem to demand that those who work with them be genuine, as well. What joy it is to have a job where I get to sit on the floor and play with children! When working with children who are getting closer to age three, I am amazed at how aware they are of what my role is in their little life. It’s an honor to help them communicate more effectively. I usually tell them why I come to see them; that my job is to help them talk. They seem to know this and when I earn their trust, it is exciting what can happen. LL: Your book, TALKING IS HARD FOR ME was inspired by many of the families you’ve worked with over time. Can you profile a couple of them for us? What types of speech concerns did they have? Endearing qualities? Something you learned from the kids/families? Linda, CCC-SLP: When I think of specific families that inspired this book, I go all the way back to my first years as an SLP. The mom with tears in her eyes wondering if she will ever hear her daughter say a “real” word. The grandma sharing that her heart just breaks because she is unqualified and feels helpless to the grandson she adores. The dad frustrated by the frequent tantrums his little boy displays because ‘no one can understand him’. Through the years, I’ve witnessed caregivers doing all the right things without any awareness on their part. I listened to caregivers expressing frustrations and fears, feeling helpless to help…every one of these people inspired this book. LL: The book is great! It’s loaded with all kinds of tips and lessons that are bite-size. You don’t have to sit down and read it cover to cover. Was that your intention when writing it? Furthermore, it appeals to kids with the colorful illustrations. How do you envision others using the book? LL: What advice would you give to families raising a child with apraxia in regards to TALKING IS HARD FOR ME? Linda, CCC-SLP: Use it a a reference! A professional may want to direct a family to a particular technique that seems most appropriate or applicable to the child. The suggestions in the book are nothing “new;” they are supported by research and SLPs utilize these techniques all the time. [I wanted to] to freshen up the presentation…a book with illustrations, with a child telling us in his own words how to help would be better received than yet another handout or article. Having answers provides knowledge and knowledge is power! Educators, parents, physicians, therapists, caregivers, siblings and peers of children who find talking difficult can use the book. [For example], teachers can implement the ideas themselves or share with paraprofessionals. Parents can use the ideas as well as share the book with those who “mean well” but may not fully understand the situation. 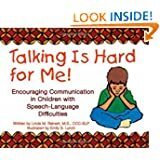 Doctors may recommend the book to parents when a communication delay is suspected… We all can gain empathy when we understand each other’s unique abilities and disabilities. The book allows the child to connect with others, offering us insight into the struggles they face. LL: Some of the apraxia families I’ve connected with share a fear that their child will feel “different” going to speech [therapy]. What advice might you give them, especially as kids grow into elementary years? Linda, CCC-SLP: Families with children with apraxia can do a lot to support their child’s communication development. It is important to consult with a professional, as therapy for a child with apraxia does follow a specific sequence and guidance is needed to ensure maximum progress. But nearly all the techniques highlighted in the book can benefit a child diagnosed with childhood apraxia of speech. It certainly won’t hurt to incorporate the techniques! My experience working with young children suspected of having apraxia indicates that music is very helpful, sign language is a great frustration reliever, predictable or rhythmic books provide sound pattern practice, choices and waiting to allow extra response time, as well as meeting the child “where they’re at” increases the odds of accelerating their ability to verbalize. Children with severe cases of apraxia may need a temporary boost to ensure their language development is not suppressed. Augmentative communication systems can help until they develop stronger skills with verbal communication. LL: Anything I haven’t asked, that you’d like to share—about the book, you, or apraxia? Linda, CCC-SLP” Sometimes children with apraxia of speech require more long-term therapy (a careful progression of building sound sequences and verbal-motor patterns). It can be a bit overwhelming to realize your child may need speech therapy well past the preschool years. My advice would be to remain focused on the current situation and not look too far into the future. It’s never too early to inquire about your child’s talking if you are concerned. Let the speech language pathologist provide recommendations based on a screening. Parents, be wise and trust your gut instincts. I’d also advise parents to beware of searching the Internet without direction. There are credible sites such as Leslie’s blog–and book–that offer sound advice and research-based posts and links. [Some] families search online to learn more about their child’s disability only to be scared to death by the misguided information. AND NOW FOR THE GIVE-A-WAY!! Linda and I have arranged for a lucky reader to receive a complimentary copy of TALKING IS HARD FOR ME! All you have to do is share this post (via email, Facebook, Twitter, Pinterest, etc.) and then drop me a line leslie_lindsay(at)hotmail.com or by making a comment on the blog itself, “I shared!” and I’ll enter your name. It’s that EASY!! * Good luck! TALKING IS HARD FOR ME is available at Woodbinehouse.com, Amazon.com, Barnsandnoble.com, Target.com and by email request and is sold locally at the Watertown Pharmacy in Watertown MN. *The Fine Print: Open to U.S. residents only. Name will be drawn at random on Friday, September 20th by 5pm CST. Please check your junk/spam folder. Winner will be notifed by email. Please respond asap with mailing address, otherwise you may forfeit your prize. (After 24 hours, another name will be selected). Your email address won’t be used or sold for any other reason. Your copy of TALKING IS HARD FOR ME will be mailed from the Chicagoland area via media rate on 9/23/13. Hey all!! I am happy to announce the SOAR Study Skills Kit goes to SHEILA P. of LEWISTON, TEXAS! Super-big thanks to all of you who entered…and as always, for being loyal blog readers. I have a big grin on my face today…that’s cause I have a BIG give-a-way scheduled for tomorrow’s Apraxia Monday. 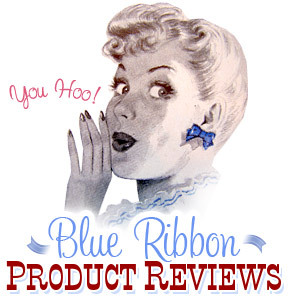 Stay tuned to our next series: Blue Ribbon Product Reviews…and maybe you’ll be the lucky WINNER!